LISTEN NOW! In our everyday lives, we see injustices that are taking place. Whether who anyone may be, it matters how we respond to someone who is treated wrong. Greg shares a story of his own when he encountered his very own reality. At that point, we have a choice: do we continue to do business at a particular establishment, or stand up and voice the truth? 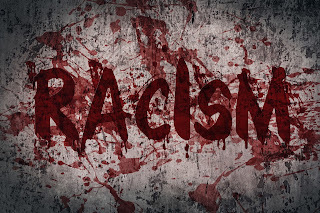 Contrary to what one may believe, racism is a spirit. Through a test conducted by a teacher in her very own classroom, she concluded how quickly this spirit can enter into an individual’s mindset based off of words that are spoken out over a people. The words that we say about others matter. The human race cannot be categorized by colors, nor can it be categorized by shades of color. It is simply the human race. Jesus Christ died for all of humanity that all may have eternal life. Racial Profiling from Law Enforcement, Ministers Greg Lancaster and Willie William are used by God to repent.